With a great reputation for her drumming chops, Tiarni Hope is also a singer-songwriter in her own right. 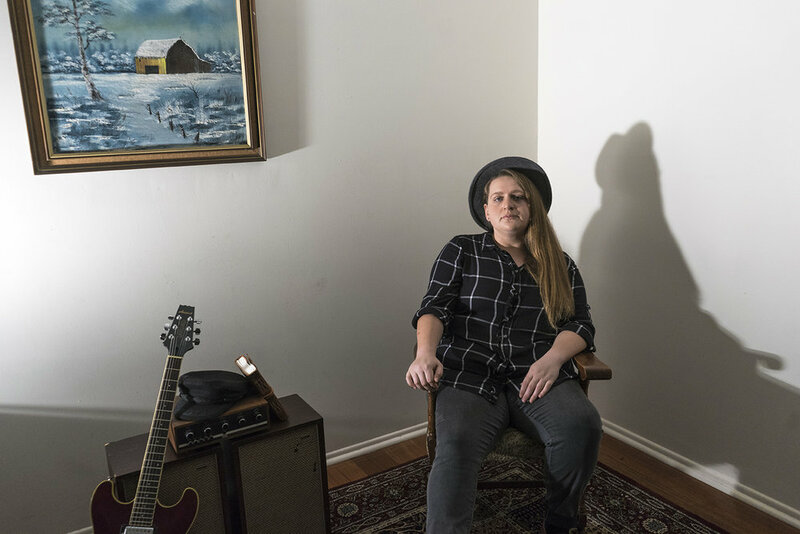 Inspired by acts such as Zac Brown Band, Paramore and Missy Higgins, Tiarni Hope's sound is best described as acoustic alternative with rock undertones. Ahead of her SEED shows at NightQuarter and City Sounds, we decided to catch up with the multi-talented artist to find out more about what makes her tick. Optimistically sad acoustic alternative with rock undertones. The last concert I went to was Paramore earlier this year. It was an absolute dream come true; they’re one of my longest standing musical inspirations and their latest album, After Laughter, impacted myself and my music a great deal. I really also just wish I could be friends with Haley Williams, she’s so rad! I think for me personally as an emerging artist, one thing that I find very daunting is how exactly to find your feet in an industry so full of amazingly talented people. Knowing what steps to take in order to gain a substantial fan base and actually get the public to come to shows is something that I'm still very uncertain about. Especially too now that streaming services have made music so accessible, I think a vast majority of people (mostly those I'd classify as 'non-creatives') don't really give a damn about supporting the local musicians in their city. I've found that when I go out to see live music around Brisbane, there's a core group of people supporting each other, and most of them are musicians themselves. So I guess breaking through that barrier and getting more people invested and supporting your music is the challenge that I'm most focused on currently. And it's something that I think can only be achieved by actively supporting others as well; it's a great community to be a part of, and it only grows by investing yourself in it and expanding the connections that branch out of it. Support your friends, support local art, and don't be afraid to advocate for yourself! My favourite song right now has to be Ready For You by Haim! I absolutely dig everything about the arrangement, especially how funky the chorus gets with the electric and bass guitars, and the drum beat that finally takes over from the sparse layered percussion in the verse. Also, melody for days! Haim sure know how to write a good hook! The best advice I’ve ever received is don’t eat anything you can’t identify. I'm focusing on getting back into the studios to finish recording my EP in the coming months; it's really exciting to be able to focus on my own creative pursuits instead of simply devoting time to projects run by other people! I'm also hoping to up my video content by doing live sessions featuring artists from around the Gold Coast and Brisbane, which will be great for promoting local music and for keeping a steady stream of interest across my social media (I'm terrible at posting things consistently!). I have to say that I’m loving Far Cry 5 at the moment. When I get a bit of down time I love being able to unwind and play video games, and this has to be one of the best games I’ve ever played. It’s such a massive world to explore, and the gameplay is great. I’ve also been playing a bit of of online co-op on Call of Duty Black Ops III - there’s no better way to chill out after a stressful day at work than to kill some zombies with your friends.